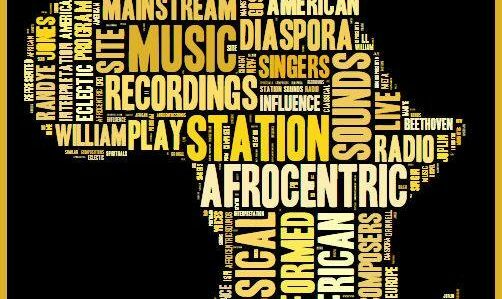 UPDATE: I am exploring the possibility of re-launching Afrocentric Sounds, this time combining its programming with that of Afrocentric Voices Radio. If you’d like to see a return of the station, bigger and better than ever, please let me know. Greetings!! This is the Web site for Afrocentric Sounds, the second Internet radio station featuring classical music written and/or performed by the African diaspora. Afrocentric Sounds has a pretty eclectic program of music, reflecting the influence of other music styles–Spirituals, Ragtime, Jazz, Blues, Gospel, and other popular and folk music–on the creation and interpretation of classical music. The station also reflects the presence of Afrocentricity in Europe and the Americas. This is a place where performance of Beethoven or Bach resides comfortably with compositions by Joplin, Ellington, Bonds, etc. Afrocentric Sounds launched on November 1, 2009. To visit the station, click on the widget’s play button below or http://www.live365.com/stations/singin1. The station is starting small, but with so many resources to draw upon, there is hopefully much for you to look forward to hearing soon. One thing you’ll probably notice is the minimal number of recordings with African American singers. This is because they are represented on Afrocentric Sounds’ sister station, Afrocentric Voices, which focuses on classical vocal music by African American singers and composers. Just click on the play button on the widget below or http://www.live365.com/stations/vulcanlyre to access that station. Thanks to Judith Anne Still and William Grant Still Music for the generous donation of numerous recordings and books by or about composer William Grant Still. Please the WG Still site to purchase recordings or get more information. I would appreciate your comments. And–I admit–I would appreciate your support to keep Afrocentric Sounds up and growing. The station is paid for out of my pocket, which I assure you isn’t even close to deep. You can send recordings for me to consider for play on the station and/or any financial support you’d like to give to: Randye Jones, PO Box 281, Grinnell, IA 50112. For more information about Afrocentric Sounds, please email me at classic@afrocentricsounds.com. This entry was posted in Uncategorized on January 28, 2014 by classic.